In 2010, we came to Brunswick County to find a part time home. Our Broker, Doug Terhune, introduced us to Brunswick Forest and within a year, we decided to build a new home there and call Brunswick Forest our permanent home. We love it here and Doug has assisted many of our family & friends find places to live. Nobody treats you better and knows more about the area and the multitude of options than the team at Carolina Plantations Real Estate. Nancy Boston worked diligently with us to find a beautiful golf course homesite in Rivers Edge and introduced us to our builder Jules, who was amazing to work with, along with Haley from Plan View Design. We owe so much to Nancy as she was very patient with us in our search to find our little slice of heaven. We made an on-line inquiry about real estate in Coastal NC and within 30 minutes, Nolan Payne from Carolina Plantations responded and answered all of our questions, and then some. 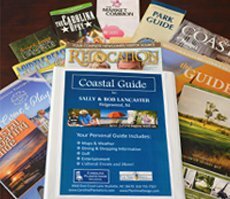 We were amazed at his breadth of knowledge of every community in Brunswick County and after visiting many, we chose Compass Pointe. Soon we will be selecting our builder and know that Nolan will be with us throughout the process lending us guidance. We were so delighted as to how friendly and knowledgeable Seth Barbee was of all of Brunswick County. He took the time to educate us on all the offerings of each community and gave us a tour of each town and beach. We wound up designing with Haley from Plan View Design and selected a local builder who made our dreams come true in Ocean Ridge Plantation. Seth is like family to us and we were so lucky to have met him! Our experience working with Chris Creekmore from Carolina Plantations could not have gone better. The first thing he did when we met was to provide us with a wonderfully educational tour of Wilmington, followed by visiting a number of local communities that met our requirements. We purchased a homesite in Brunswick Forest and are delighted with the home we built, as Chris was with us every step of the way. Thank you Christopher! Mike Smith is the reason we selected Ocean Ridge Plantation for our retirement years. His thorough knowledge of the community, residents and the area are second to none, and soon we will be building on our ORP homesite. We are so excited and appreciative to Mike for all the time he spent with us, from showing us the area to introducing us to quality builders. When we first came down a number of years ago, we were looking for a transitional home, and Patty McGrath of Carolina Plantations helped us find the perfect condo in Sandpiper Bay. 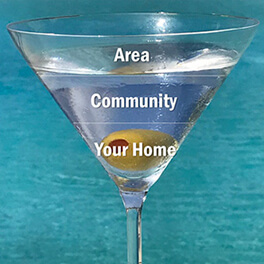 After a few years, we wound up loving the community and the area, so Patty sold our condo for us and helped us find our Forever Home, also in Sandpiper Bay. We cannot say enough kind words about Patty and her professionalism. Patty, you’re the Best! Carol and Rich from New Jersey. Luckily, my wife and I became acquainted with Doug and Seth from Carolina Plantations. We were about to buy property in a community somewhere else but, apparently we knew very little about the attributes of living near Wilmington and Doug and Seth showed us all the restaurants, shopping, beaches and medical services and well, we were hooked. We purchased land and built a home in Leland and will forever be grateful to Carolina Plantations for not allowing us to make a huge mistake! We met Steve Prokop from Carolina Plantations and he showed us a bunch of communities in Brunswick County. We chose Winding River Plantation because of all the amazing amenities (beach club house, golf courses, fitness center, pool and more) and Steve has just been a wealth of knowledge to work with.